A Fragment represents a behavior or a portion of user interface in an Activity. You can combine multiple fragments in a single activity to build a multi-pane UI and reuse a fragment in multiple activities. You can think of a fragment as a modular section of an activity, which has its own lifecycle, receives its own input events, and which you can add or remove while the activity is running (sort of like a "sub activity" that you can reuse in different activities). A fragment must always be embedded in an activity and the fragment's lifecycle is directly affected by the host activity's lifecycle. For example, when the activity is paused, so are all fragments in it, and when the activity is destroyed, so are all fragments. However, while an activity is running (it is in the resumed lifecycle state), you can manipulate each fragment independently, such as add or remove them. When you perform such a fragment transaction, you can also add it to a back stack that's managed by the activity—each back stack entry in the activity is a record of the fragment transaction that occurred. 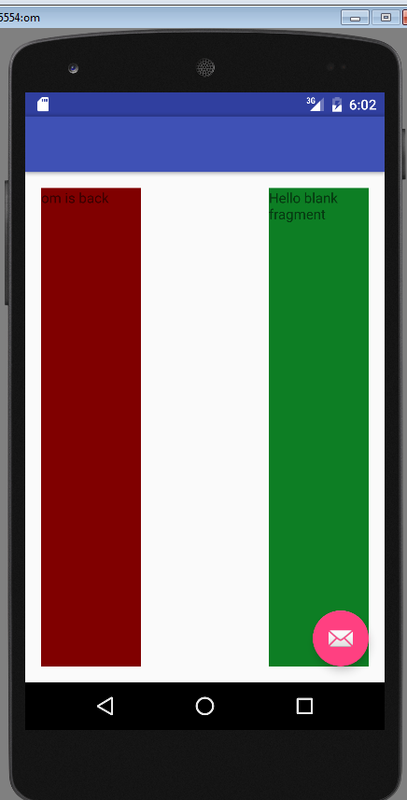 The back stack allows the user to reverse a fragment transaction (navigate backwards), by pressing the Back button. Though a Fragment's lifecycle is tied to its owning activity, it has its own wrinkle on the standard activity lifecycle. It includes basic activity lifecycle methods such as onResume(), but also important are methods related to interactions with the activity and UI generation. onAttach(Activity) called once the fragment is associated with its activity. 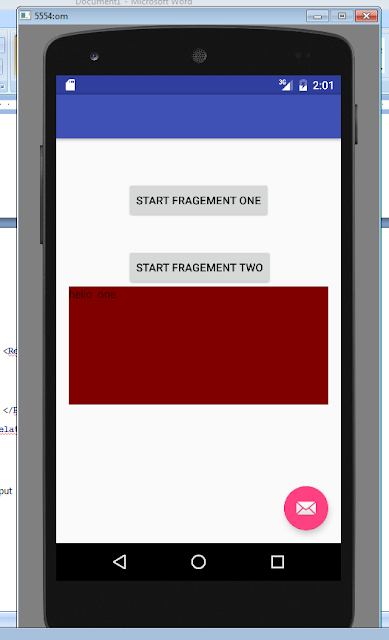 onCreate(Bundle) called to do initial creation of the fragment. onCreateView(LayoutInflater, ViewGroup, Bundle) creates and returns the view hierarchy associated with the fragment. onActivityCreated(Bundle) tells the fragment that its activity has completed its own Activity.onCreate(). onViewStateRestored(Bundle) tells the fragment that all of the saved state of its view hierarchy has been restored. onStart() makes the fragment visible to the user (based on its containing activity being started). 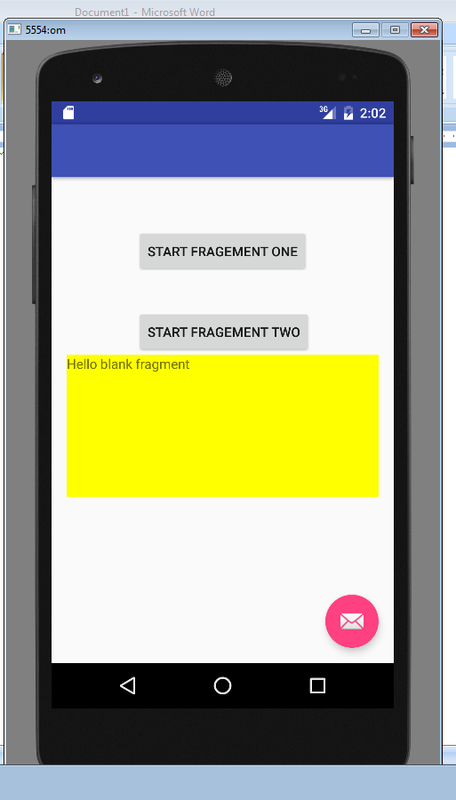 onResume() makes the fragment begin interacting with the user (based on its containing activity being resumed). onPause() fragment is no longer interacting with the user either because its activity is being paused or a fragment operation is modifying it in the activity. onStop() fragment is no longer visible to the user either because its activity is being stopped or a fragment operation is modifying it in the activity. onDestroyView() allows the fragment to clean up resources associated with its View. onDestroy() called to do final cleanup of the fragment's state. onDetach() called immediately prior to the fragment no longer being associated with its activity.